- Fischer & Page, Ltd.
- Tropical Foliage - United Wholesale Florist, Ltd.
- Dry & Silk Flowers, Inc.
Today I tried the free Tai Chi class held at Bryant Park. 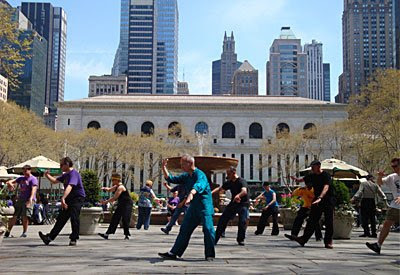 Every Tuesday and Thursday morning, from 7:30-8:30am, (April - Oct) there is a free and open Tai Chi class given by the Tai Chi Chuan Center. Though early in the morning, it felt refreshing to be awake, stretching and moving in the cool morning air at the Park. At 7:30 the Park is still and fairly quiet, but by the end of the class the Park is flooded with the usual Midtown crowds rushing to work. The class was fairly basic and is accessible to all skill levels and ages. There were about 25 students this morning. The founder of Tai Chi Chuan Center, Master C.K. Chu leads the class and 2-3 other assistant instructors move around the open air "classroom" correcting postures and positions. The class is held, rain or shine, at the Fountain Terrace (at the west end of the park). At top left: Adriana Lara's "Installation (Banana Peel)" exhibit on display at The New Museum as part of the current show "The Generational: Younger than Jesus." 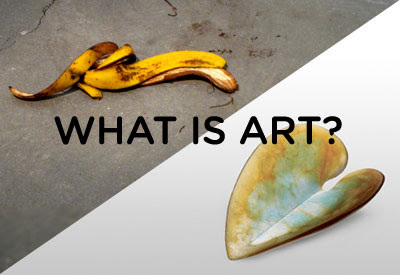 A museum employee is instructed to eat a banana each day, then discard the peel on the floor of the exhibit for people to look at and think about. At bottom right: "Lov'Orchid Coupelle Objet," created by master glass makers at Daum. Materials: lead crystal glass. On display currently at Bergdorf Goodman in their 7th Floor Gallery (Home Dept.). New York can boast it has a good number of renown modern art museums - from The MoMA to The New Museum. But what I truly think is impressive is the high number of world class "commercial art" museums New York has. When I say commercial art I mean art that is chosen and displayed on the basis of popular demand, a truly democratic method of curating an exhibit by letting the people decide what is exhibited. And how do the people decide? With their pocket books, (which is a very truthful way of determining what people actually value and what inspires them, and not just what they might say that they value or appreciate in art- for sake of sounding sophisticated). I am talking about what is more commonly referred to as "stores." From Bergdorf Goodman and Tiffany's to Pearl River Market and the various import jewelry stores south of Herald Sq. area, - these are the true museums of art. These museums hold objects that are relevant to people's lives, exquisite, beautiful and far more interesting than say a pile of torn up pizza boxes you could see on the floor of The New Museum. Who decided that a pile of pizza boxes was worthy of a place in a guarded museum and that you should pay $12 for the privilege of viewing it? This decision was made in an extremely narrow top down manner, by one person, or a small group of museum directors. A select few individuals have the power to shape what society should view as "art." The rest of us are expected to be in awe at such "thought-provoking," pieces and anyone who thinks otherwise must be ignorant or too simple-minded. But do you really consider such pieces art? I believe that if the masses truly did believe this was art then Bergdorf Goodman would be selling torn up pizza boxes instead of delicately crafted necklaces or handmade china. It strikes me as ironic that art is commonly thought of as an expression of individualism and often meant to make a viewer reflect and think, and yet the world of modern art has quite the opposite effect - "art" is filtered through a select few museum directors and then the people flock like sheep to art museums and nod introspectively at twisted pieces of metal wires that are displayed under hushed museum lighting. If there is anyone at all deserving of the title of artist it is not the person who crumpled up the wires, but the material science engineer who originally figured out how to create a metal suitable for wires. If people value democracy and openness in thought, why, of all places, should it not extend to the modern art world? Why is the art world still so controlled by dictatorships? Think beyond what you are supposed to view as art museums and realize that every store is too a museum. Every store is an art museum curated by the power of the people. True, democracy is not perfect, but as history bears out, decisions made by the people and for the people seem to create a much more diverse, rich and creative society than the ones controlled by a dictatorship. With wedding season in full swing, what better a month than June to talk about weddings. I myself was a June bride exactly a year ago (June 21, 2008), and during the long course of planning leading up to the big day I discovered a few great resources here in the city for wedding planning. While hosting the actual wedding in the City would be extremely expensive, there are a lot of free and unique resources to be found here for wedding planning. (I spent last year in NYC planning my wedding and benefiting from the vast array of opportunities and inspiration, but the wedding itself was held upstate in Ithaca). One of the best things I discovered was The Wedding Library on the Upper East Side. The Wedding Library is a shop/library/wedding planning center. They have swatch-books, portfolios, and contacts for bakers, bands, caterers, calligraphers, cleaners, DJs, floral designers, linens suppliers, makeup artists, musicians, officiants, party planners, photographers, registries, stationery, stylists, venues, videographers and wedding dresses. It is open to anyone and though reservations are strongly encouraged, I did manage to stop by unannounced and they were happy to help me and let me browse through their collections of stationary (which was great help in giving me ideas for designing my own invitations). With so many resources all under one roof it is a great place to start wedding planning and gather some ideas of how you want to shape your own event. The Wedding Library is located at 43 East 78th street. They also have an e-newsletter that I suggest you sign up for and you'll receive new wedding related ideas every week in your inbox. For wedding dresses, the best place to go is Kleinfeld's. (Perhaps not necessarily to buy the dress in the end - prices are steep, - but as the first place to look at dresses and figure out what styles you like). Kleinfeld's is a beautiful luxuriant gallery of wedding dresses. You must make an appointment first, often a few weeks in advance. 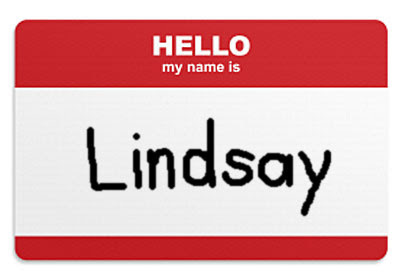 When you visit you will be assigned a personal dress consultant. You can begin by browsing the showroom or closets for wedding dresses (like a kid in a candy store), or if you have an idea of what you want your consultant can find dresses that fit your description. But go in with an open mind. I myself never envisioned a strapless wedding dress, but at her suggestion I tried a few on. . . .turns out strapless looked the best on me and in the end that is the style I went with (though I purchased the actual dress from a more discount store). Your consultant will help you try the dresses on and you can try as many as you want on in your 1 1/2 hour appointment. Visiting Kleinfeld's is not only a great way to explore the vast possibilities of wedding dresses and figure out a style that suits you, but it is also an exciting experience a bride-to-be would not want to miss. After all, isn't the dress the most exciting part of the wedding to plan? Whereas the upscale places such as The Wedding Library and Kleinfeld's are great resources to look at for inspiration, New York also has extremely budget places that are absolutely unique to New York. Keep your eyes open in Chinatown, the Lower East Side and the area just south of Herald Square for Asian import stores that often sell bridal accessories such as veils and hair pieces. They are often the very same pieces you would find in wedding retail stores, just with out fancy packages and high prices. I found my veil in one of these stores on 6th ave around 27th street for a third of the price you would pay at David's Bridal (and even David's is known for low prices in bridal retail). For corsets and specialty bras, go to Orchard Corsets in the Lower East Side. Run by orthodox Jews, the small shop is a throwback to the early 20th century with an antique sewing machine, old-fashioned decor and cluttered shelves of corsets in cardboard boxes behind the counters. Again, prices are much lower that you would find in a more, ahem, modern looking store. Orchard Corset is located at 157 Orchard St. They are closed on Saturdays. If you are the kind of DIY person scouring the city for deals and planning every detail of your own wedding, then I assume you'll also be handling your own flowers. 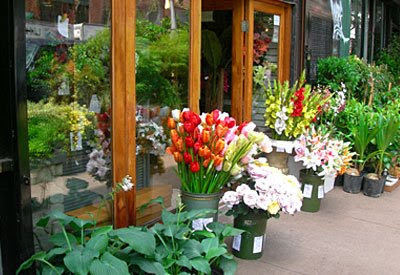 For this, the best place to go is the Flower/Plant District on 28th St. between 6th and 7th Avenues. I won't go into details on all the stores - but stay tuned next week for an upcoming post on the Plant District where I will highlight all the best stores. I will say that the Plant District is a great resource for exotic flowers and cheap prices, and is unique to New Yorkers. Much of the flowers that come into the U.S. from South America and around the world pass through this street on their way to the rest of the country. Take advantage of this, people! You can compete with professional floral designers in having access to the best variety of flowers for your wedding! For cheap, very tasty and very unusual Japanese food, try okonomiyaki (pronounced "economy-ah-key") at Otafuku's. 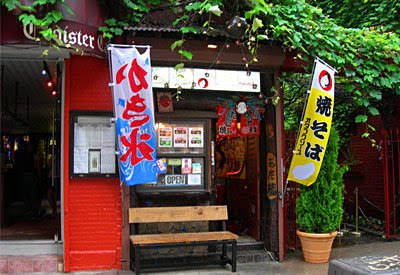 This minuscule restaurant on "Japanese Street," (east 9th) in the East Village serves up some of the most satisfying, finger-lickin' good dishes that you've probably never heard of. Their signature dishes are okonomiaki (egg, cabbage, spices and shrimp pancakes topped with mayonnaise, dried seaweed powder and bonito flakes) and takoyaki (fritter balls made of octopus, scallions and ginger). There is no sitting room - food is served up only for take-out, but their hours are late so this makes Otafuku's a good post-party nosh, (if you happen to end up in the East Village). Otafuku is located at 236 East 9th Street, between 2nd and 3rd Aves. It's small, so you might just miss it. 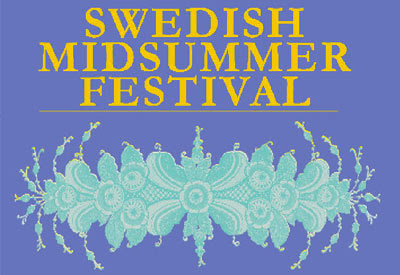 Tonight from 5:00 - 9:00pm the Swedish Midsummer Festival takes place at Wagner Park (in Battery Park). Swedes celebrate the summer solstice by celebrating on the Friday closest to the actual solstice (which is June 21). This year's events include decorating the maypole, traditional folk dancing, making summer wreaths, a parade, traditional music and fiddling (by Daniel Dahlin and the American Swedish Institute), games, and Swedish food. The event is free and everyone is welcome to join. I like to tell the story about the first time I had drinks at The Campbell Apartment. An upscale bar located (hidden) in Grand Central, it took me quite some time to find this place. I had never heard of this place before, and was simply told it was at Grand Central. I should have asked for more details . . . Grand Central is not at all small, or simple. After hunting for some time in the restaurant area and passing through the shopping area and the market place several times, I began asking people. No one was very helpful, many store clerks had not heard of it. I began to wonder if it was actually in Grand Central at all. Finally someone I asked instructed me to take the freight elevator up to The Campbell Apartment. Freight elevator??? I finally found the elevator, though not a freight elevator, it is somewhat non-descript and not easy to find. 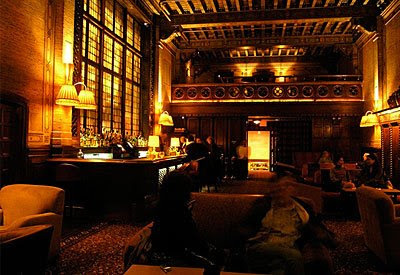 Indeed it did take me up to the bar, and upon stepping into The Campbell Apartment I was amazed at its grand and dark interior. I felt as if I had entered some secret drinking club headquarters at an Ivy League school. The ceiling is very high with ornate antique rafters. There is an old fireplace and the lighting is dark and quiet. Tall glass pane windows rise above the bar, but you can not see through them. (When walking through Grand Central later I always look up and wonder which set of glass windows high along the terminal walls belong to Campbell Apartments, but I am never really sure). The bar's atmosphere is austere and antique, think dark reds, leather and wood paneling. I felt swept away into some other world, far removed from the bustling terminal just outside the stone walls of the bar. Drinks are pricey (and elegant), so come here for the experience, not for a night of drinking. The Campbell Apartment is located in Grand Central, and I am not being any more specific than that . . . good luck finding it. Manhattan is a city of walkers. The sidewalks are always overcrowded with people walking to work, walking to dinner, walking to do errands, walking to parks, walking everywhere. Walking is not a just a leisurely exercise activity - here it is the way to get from point A to B. That's why New Yorkers walk so fast. Still with a city of millions of professional walkers, we often ignore our waterfronts. Many people have never explored the perimeter on foot. Granted up until the past decade the edges of Manhattan were grimy, often unsafe and (unusual for Manhattan) inaccessible by foot. But this excuse is no longer valid. Though cafes, shops and friendly neighborhoods have not yet ventured to the edges of the island, the city has taken big steps in the recent years to complete construction of a connecting ring of parks around the entire island. Battery Park connects seamlessly to Hudson River Park, then Riverside Park, then Ft. Washington Park, then Ft. Tyron Park, Inwood Park, etc. The path is a bit sketchier on the East Side, especially up north and then around the U.N. area, but by the 30's it picks up strong again and flows into East River Park, then back down to Battery Park. I just discovered Shorewalkers, a wonderful club that organizes informal group walks all around the various shores of the New York metro area. They concentrate on shorelines, but plenty of the tours also include various neighborhoods. Anyone can participate in a walking tour, you do not have to be a member (non-members pay $3 per walk). This past Saturday I just joined a Shorewalker group for the Union Square Shuffle. It was a 6 hour walk, starting at Union Square and continuing through the Village, East Village, then walking the perimeter park path around Manhattan from east 6th street all the way around the tip of Manhattan and then up the Hudson and ending at the newly opened Highline. We also took an excursion to Governor's Island (on the free ferry), as well as stopped along the way at various landmarks, exhibitions and historic monuments. The leader focused on free events and packed the tour with announcements of all the many free concerts, events, and freebies being offered at various places throughout the summer. I estimate we walked 16 miles in all. 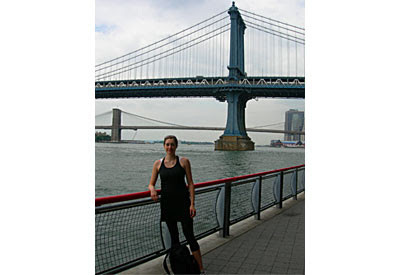 There are organized Shorewalker events every week this summer covering the NJ Hudson shores to Brighton Beach and Coney Island (See their Hike Calendar on their website). Their biggest event of the year is The Great Saunter, where they walk the entire perimeter of Manhattan, starting and ending at the South Street Seaport. An all day walk, covering 32 miles it is an extreme event but which I am sure many experienced New York walkers could handle. The Shorewalker group is a participatory group, and if you become a member you can start organizing and leading your own tours through areas you know well. (Becoming a member is only $20). If you have never walked along the New York shorelines, trying a walk with a Shorewalker group is an easy and rewarding way to begin exploring the waterfronts. Unfortunately, like many old coastal cities, as New York City grew over the centuries its waterfront property was never appreciated for its leisure or visual potential but for its industrial value in shipping. When the city's perfectly protected harbors ceased to be its main raison d'etre, Manhattan's coastline never shook its grimy industrial past from its shores. Instead of the most coveted apartments lining the peripheral with stunning waterfront views, the best addresses tend to cluster within the center of the island (think 5th Ave.). Gas stations, parking lots and highways ring the outer avenues. Such a waste of beautiful waterfront land! But there are a few areas that reclaim waterfront views. One of these places is the lovely Carl Schurz Park. Originally built to surround Gracie Mansion (the mayor's official residence), the park is a charming garden oasis tucked away in the far upper east side. Not willing to lose its riverside front row seat to the FDR, the park cleverly bridges over the highway the entire length of the park, completely hiding the FDR below and providing the park visitor with panoramic East River views. The park is built on various levels with connecting paths, stone foot bridges and stairs winding through beautiful volunteer-tended flower gardens. So the next sunny afternoon you find yourself heading up to Central Park with a book and picnic blanket, head just a little farther up and a little farther east and explore this smaller but quite unique park perched on the edge of the East River. 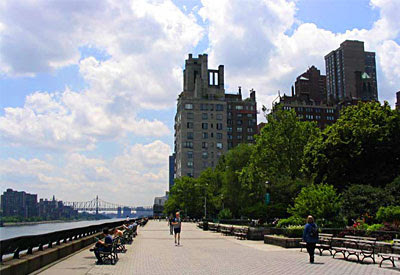 The park runs from 84th street to 90th street, east of East End Ave. It is often claimed that with the noise, the tight spaces and the crowds that it is stressful living in Manhattan. It is also claimed that meditation relieves stress. (Personally, NYC enlivens me rather than stresses me, and meditation sometimes can be stressful because of how much time it takes out of my schedule). So while I am not thoroughly convinced by these two claims, for curiosity's sake, I decided to try a meditation session at the Tibet House last night. Each Tuesday evening from 7:00 - 9:00pm they have an open meditation session led by an experienced Tibetan Buddhist tradition practitioner. The session consists of half lecture and question & answer concerning the art and practice of meditation and the other half is devoted to practicing meditation. There were about 30 people who attended last night. There is a suggested $10 donation ("dana"). 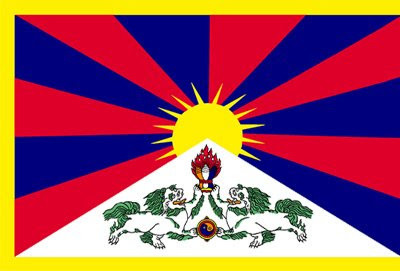 The Tibet House also offers various lectures and classes about Tibetan culture and Buddhist spirituality. The House has a museum-like gallery displaying various Tibetan antiques, artwork and photography as well as a Buddhist altar and a bookshop full of Tibetan and Buddhist books. So whether you're just curious about Buddhist meditation or if you are a stressed out New Yorker, stop by the Tibet House on a Tuesday night to try a session. The Tibet House is located at 22 West 15th street, between 5th and 6th Aves., on the second floor. Hey all you sweeteeth out there, listen up: I just discovered Economy Candy, where (as the name might suggest) you can get not only relatively cheap candy but also all sorts of "retro"/"vintage" varieties as well (think Cracker Jacks and Pez galore). Yum! Located among the hipster streets of the Lower East side, and has been in business since 1937, Economy Candy can authentically be labeled as "old school" cool. Glass jars line the walls with all sorts of per-pound confections. 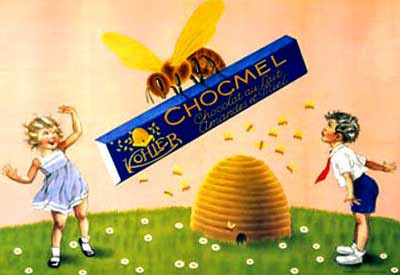 Hundreds of wrapped varieties such as hard candies, gum, mints, pastiches, halveh, gummies, caramels, lollipops, dried fruits, taffy, candy buttons, pixie stix and even some fine European chocolate bars stock the aisle shelves. I even spotted some Lindor chocolates, my longtime flame. Next time you find yourself down in the LES, stop by this classic candy store for some old time kicks, to satisfy your sweetooth, or perhaps just to stock up on gingerbread house materials. I myself couldn't leave the store without a box of Cracker Jacks and a pack of Beemans Gum. Economy Candy is located at 108 Rivington, between Ludlow and Essex Streets. There are some places, like ABC Home & Carpet that we all know. We all love. We all wish our apartments looked just like store. In-the-know tourists visit ABC for an afternoon of sightseeing. It is a museum to interior decor. But ABC is old news. I'd like to present two other of my favorite "interior decor museum" stores: The John Derian Co. and Apartment 48. 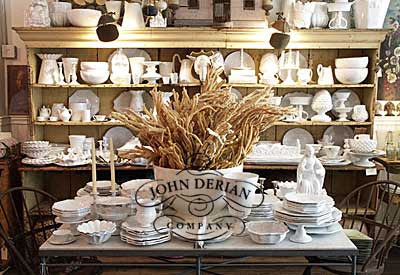 Smaller and tucked away on east 2nd street, just off Bowery, The John Derian Co. is an exquisite storeroom of furniture, art, textiles, antiques and curiosities. Most well known for their decoupage items, you might recognize their glass and decoupage paper weights, which show up in other home stores or gift shops around town. But The John Derian Co. store on 2nd street offers so many more treasures. Just like ABC, prices here are steep, so plan to come here mainly for design inspiration. There are actually two disconnected stores on 2nd street - the eastern one skewing more toward textiles and bedding, and the other filled with a more eclectic mix of everything from Astier de Villate ceramic glazed tableware to 18th and 19th century prints to antique chandeliers. The store is a 3D version of a page from Blueprint (RIP) or Design*Sponge. Apartment 48, located on 17th street between 5th and 6th Aves., is another beautiful home store. Unfortunately in the past year Apartment 48 has moved from its original (and much cooler) underground storefront (still on 17th street) to its current above-ground and sadly average storefront. The underground storefront felt hidden and secret. The store itself was made up of several separate rooms, each decorated like a different room in a house, giving the effect that you were wandering through someone's cozy railroad-style apartment. Still, despite the boring store of today, Apartment 48 still offers unique and beautifully designed housewares and art.